With the latest CNC Plasma Equipment, we offer a quick turn time and perfection in our finished product. • Our 5' x 10' table allows for production of both large and small items. • We can cut many types of metal including Aluminum. • Signs in any font or design. • Top-of-the-line CAD software used for design. • Precision cutting of metal to any size. • Fast and competitive service. • We can compete directly will cheap overseas imports and can do small runs. 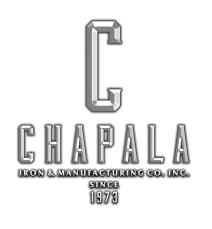 "Chapala Iron has been Fabricating our Steel products for years now. The ability to cut complex shapes with the CNC Plasma Cutter has shortened our production time by half and has helped our company grow exponentially."